Pre-cut carbon fibre vinyl effect dashboard sticker. HONDA CIVIC MK8 TYPE R FN2 (2006-2011) GENUINE LEATHER GEAR GAITER. BLACK LEATHER - PERFORATED. 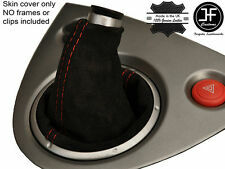 PLASCTIC SURROUNDS / GEAR KNOB / HAND BREAK LEAVER - NOT INCLUDED. 100% GENUINE ITALIAN LEATHER. PERFECT FIT - ONLY FOR CAR LISTED AS ABOVE. HONDA CIVIC MK8 TYPE R FN2 (2006-2011) GENUINE LEATHER GEAR GAITER. PLASCTIC SURROUNDS / GEAR KNOB / HAND BREAK LEAVER - NOT INCLUDED. 100% GENUINE ITALIAN LEATHER. BLACK LEATHER. PERFECT FIT - ONLY FOR CAR LISTED AS ABOVE. FITS HONDA CIVIC EP3 TYPE R 2001-2005. We have red and charcoal alacantara in. Or copy the links below and have a look. A pair of Honda accord type R recaro reclining bucket seats with lump support on drivers side. Comes with seat reals to fit a ej/ek. Age related Mark's but still functional. Top quality gear gaiter made from 100% genuine Italian leather. 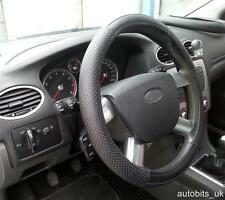 The plastic surrounds or the gear knob is not included. Make: HONDA. Leather Colour: Black. Transmission: Manual. Stitching Colour: Black. Honda Civic Type R EP3 (2001 – 2005). Mugen 6 Speed Gear Knob. Honda Integra DC5 (2001 – 2006 ). Honda S2000 AP1 (1999 – 2005). Honda S2000 AP2 (2005 – 2009). Honda Civic FD2 (2006 – 2008). Honda Civic FN2 (2008 onwards). HONDA CIVIC TYPE R ALLOY HEATER CONTROLS KNOBS *RARE*! ONE-OFFS - RARE! Fitting: ANY HONDA CIVIC Incl Type R as shown in the picture. Light position indicator. Made on a precision computer operated machine. High-Quality Black & Red PU Leather 9 Pieces Full Set Car Seat Covers. • Made of high quality PU leather and soft foam,provide comfortable seating feeling. 1x Seat cover for the middle of the rear seat on 2 pcs. Gear Stick Gaiter For Honda CR-V 2006-2016 Leather. Box contains: 1 x Gear Gaiter. We specialize in customisation of car interior but also in creating unique and personalized products made of genuine leather or suede material. Mugen style RED. straight A luminium throw shifter gear knob. Taken from a 1999 Honda Civic aerodeck. 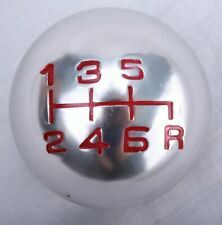 Universal 6 Speed Aluminum Alloy Gear Shift Knob. 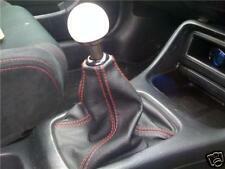 Type:6 speed Gear Shift Knob. 1 Gear shift knob. 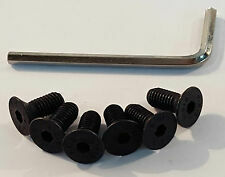 Easy to install, remove your old gear knob.Then screw the knob back to your car. Universal fits for all car models with 6-speeds shift. A LOVELY SET OF BLACK BREATHABLE FABRIC FRONT SEAT COVERS NEW. SET INCLUDE 2 SINGLE FRONT SEAT COVERS & 2 HEADREST COVERS (COMPATIBLE ON MODELS WITH DETACHABLE HEADRESTS). Machine washable at 40 degrees. 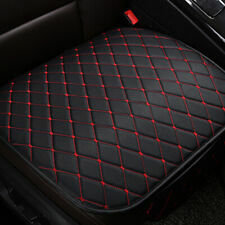 Auto Seat Cover Front Cushion Black PU Red Line Universal Car Chair Accessories. Material: PU Leather. 1 x Car Front Seat Cushion. High-quality leather,dirty and easy to clean. The seat have pocket design, lightweight & easy to take. Top quality gear gaiter made from 100% genuine Italian leather. The plastic surrounds or the gear knob is not included. Leather Colour: Black. Stitching Colour: Black. Make: HONDA. Transmission: Manual. Installation is incredibly simple, remove your current gear knob, screw the extension onto your gear lever and screw your gear knob onto the extension. Increases the length by 3". Internal and external pitch thread is 10x1.5. Very good condition. Wheel was in full working order before removal. Honda S2000 Steering Wheel Boss . Condition is Used. Dispatched with Royal Mail 1st Class. 1994 Honda Civic Eg Airbag Black . Condition is Used. Dispatched with Other Courier (3 to 5 days). Skull Air Freshener In Bubble Gum Scent. ALL HONDA CRV 2006 TO 2010. And what you will receive is only the leather part. Black leather with black stitching. 6 Speed Gear Knob. Suits Honda Civic Type R. Black & Red. Honda CRV 2012-2017. Fit for all Honda CRV 2012-2017. Inner Door Sill cover Protector Kick plate. Step 3 Products are equipped on the vehicle with exactly and use a clean cloth to press evenly is attached. EP3 ,aluminum pedals. CNC engraved HONDA Brushed surface. HONDA CRV 2012-2017 INNER BUMPER PROTECTOR Guard Trim scuff cover. Fit for all HONDA CRV 2012-2017. You could heat the place of 3M tape with a heat gun or a hair dryer which is a lot safer to do so. Easy installation and No modification needed,3M tape is at the back. For the HONDA CIVIC TYPE R FN2. OUR REF: 1256-030419-153912029. INCLUDES DOOR CARDS AS PICTURED. You must notify us within 48 hours of receiving the item so collection can be arranged. Engine warranties are only valid if new cam belts/idlers/tensioners are fitted prior to installation - proof will be required in the event of a claim. HONDA CIVIC TYPE R 2001 TO 2005 AND HONDA CIVIC MK7 2001-2005. And what you will receive is only the leather part. Rear Bumper Protectors. Tailored specifically for your vehicles inner door sills, the Vinyl Door Sill Protector provides an attractive yet cost effective solution to protecting your door sill area from general wear and tear. NEW BLACK STITCH GEAR GAITER GAITOR LEATHER. Box contains: 1 x Gear Gaiter. And what you will receive is only the leather part. Compatible with: HONDA CR-V III (2006-2011). The cover is suitable for models with the gear boot like shown on the pictures only - Not Universal. HONDA CIVIC "TYPE R "EP3. Great new impressive Design for the Type R. You can change the colour with the dial / adjuster (Supplied) to a light Green and Red. You are purchasing quality white dials, they are made of a high quality scratch resistant polycarbonate material. Honda Integra Type R Gear Knob and lock nut DC5 . Condition is Used. Dispatched with Royal Mail 2nd Class. Top Quality Manual Gear Gaiter made from Black ECO Leather with Blue Stitching. Color: Black With Blue Stich. EASY AND UNIVERSAL FIT ,EFFECT IS AMAZING! Top quality gear gaiter made from 100% genuine Italian leather. The plastic surrounds or the gear knob is not included. Leather Colour: Black. Stitching Colour: Red. Make: HONDA. Transmission: Manual. 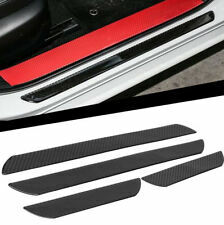 Honda Civic Type R Outer Door Sill Protector, kick Scuff Plate Cover. Fit for Honda Civic Universal 2002-2018. You could heat the place of 3M tape with a heat gun or a hair dryer which is a lot safer to do so.